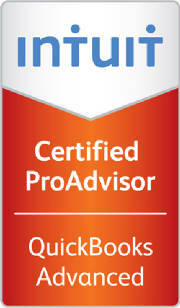 We are licensed public bookkeepers providing the highest degree of professional service. We offer bookkeeping services directly to small business owners, and to CPAs needing extra help providing high quality timely bookkeeping services to their clients. We are dedicated to helping my clients make informed decisions, and committed to providing accurate, reliable, timely bookeeping. We provide a cost-effective alternative to a traditional CPA, or in-house bookkeeping staff. We primarily serve the Beaches area. We provide a variety of services for small businesses. These services include employment and sales tax filing, bank reconciliation, financial analysis and statements, QuickBooks® setup, QuickBooks® training, and bookkeeping system setup. We provide financial information to your CPA of record for the preparation of income tax returns, and make adjustments as necessary to convert managerial account books to tax-ready files. We pride ourselves on our ability to provide personal service to meet your business requirements in these rapidly changing economic times. Mail it to us .